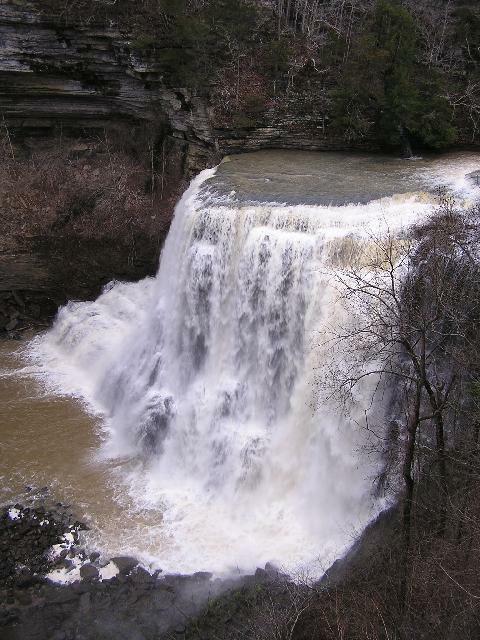 There were three waterfalls at Burgess Falls State Natural Area: First Falls, Middle Falls, and Big Falls. Directions: Take I-40 east from Nashville or west from Knoxville toward Cookeville. A few miles southwest of Cookeville take Rt. 135 south from I-40 for about 8-9 miles. 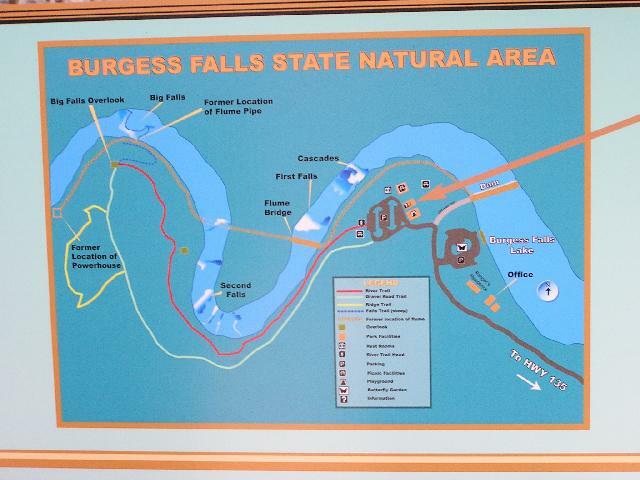 Follow the signs to Burgess Falls SNA. 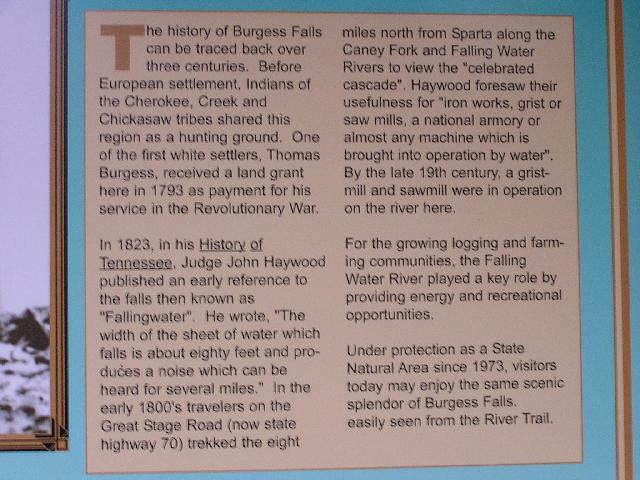 Comments: I visited Burgess Falls State Natural Area 22 January 2007. 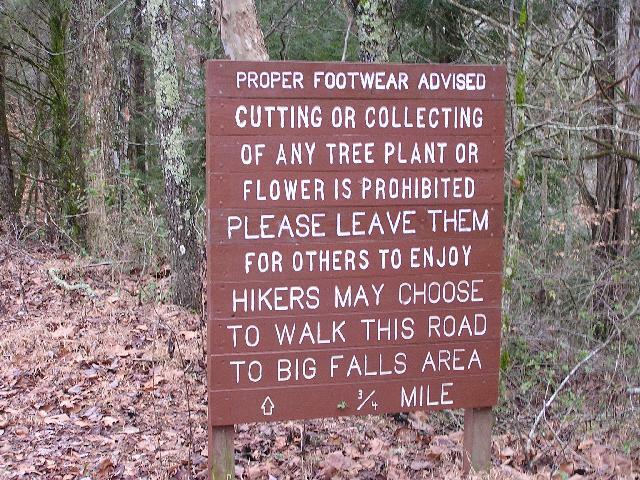 The hike from the parking area along the River Trail is about 100 feet to First Falls, .5 miles to Middle Falls, and .75 miles to the overlook above Big Falls. River Trail was a good trail, but in one place, because it was wet, it seemed a little precarious, although it really was not slippery - i t just looked like it might be. 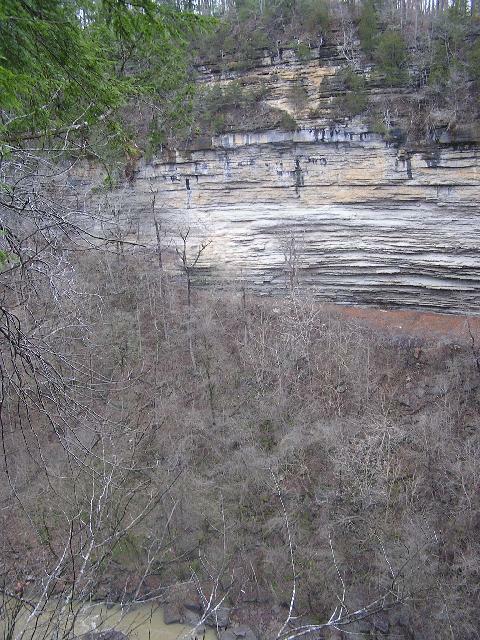 The two photos of Big Falls shown above were taken from the overlook above the falls. 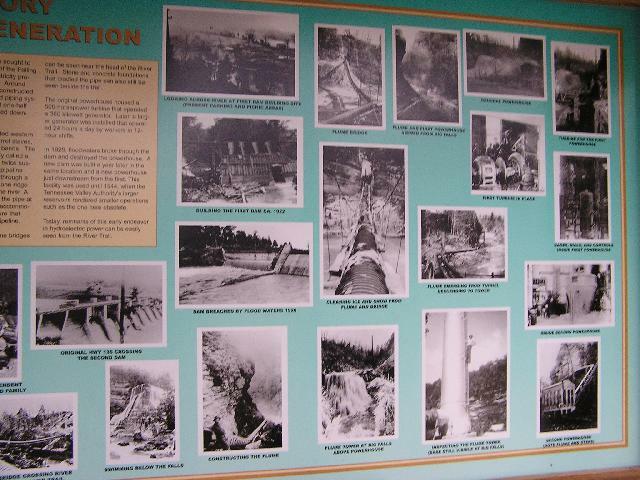 The first photo in the second row is a view of the canyon wall looking downstream from the overlook. The second photo in the second row shows the sign where you can take the trail down to the falls, but I did not take it. 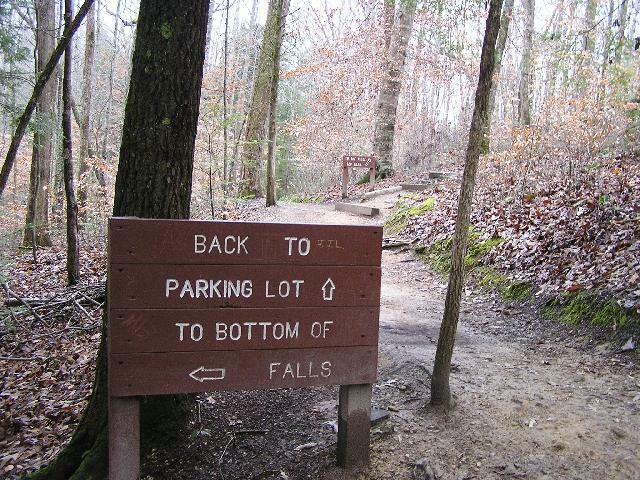 If you take that trail straight ahead, you will return to Middle Falls and then First Falls along the River Trail. 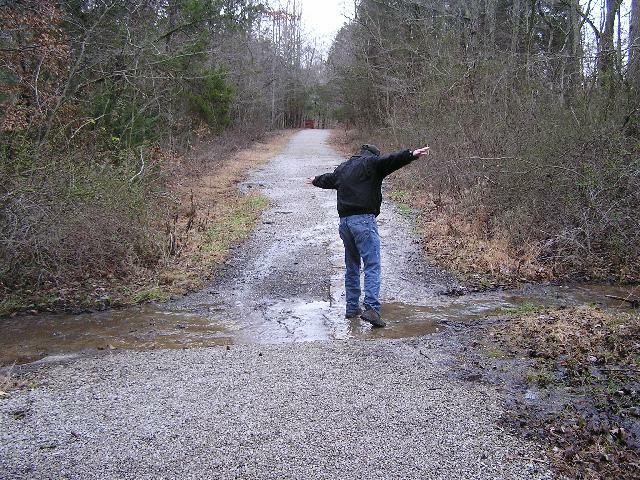 However, we took the trail to the right that goes back to the parking area along a road. Although the distance is about the same, the trail is easier walking. Along that road in one place we needed to walk across the creek, shown in the last photo in the second row. The photos in the third row show the way to take the road rather than the River Trail. 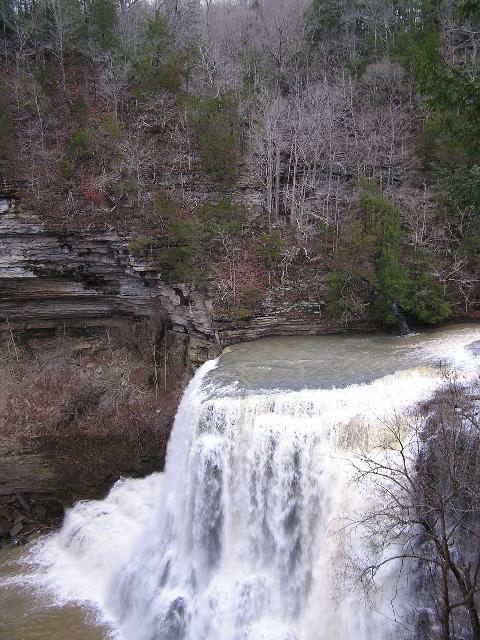 From the car in the parking area, if you walk to the right you will get to First Falls and the Trail Road that will take you to Middle Falls and then Big Falls. 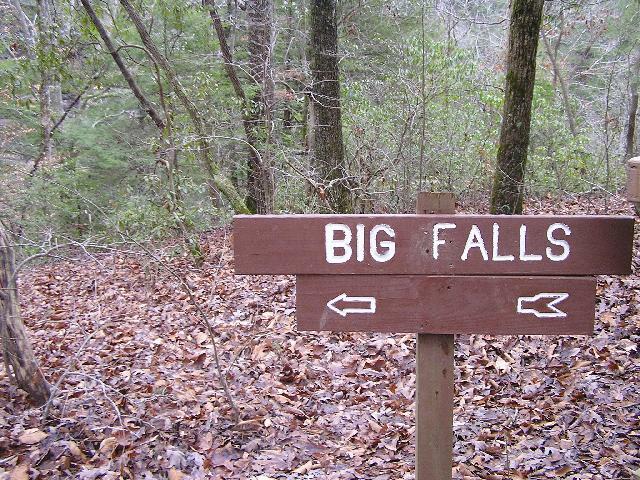 If you walk to the left, you will get to the trail that takes you to the road to Big Falls. 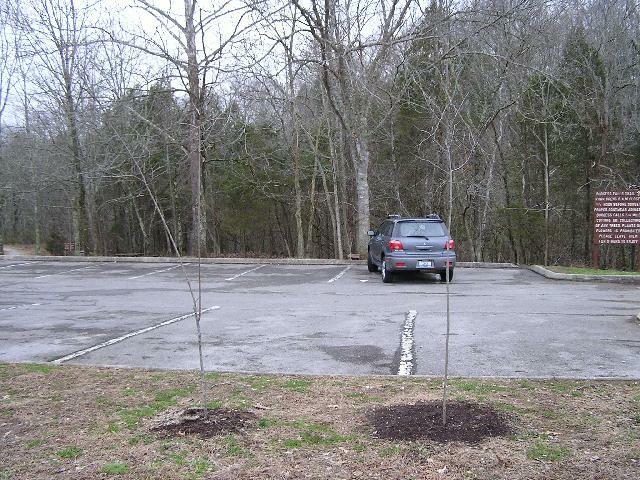 That trail is visib le in the photo of the car in the parking area. 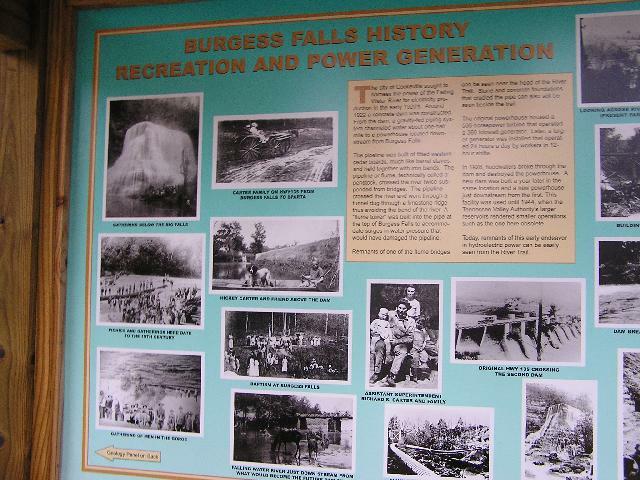 To the right of the parking area are rest rooms and an information board with information about the falls and the area. The lst four photos show some of that information. Page last updated 14 Feb 2007.